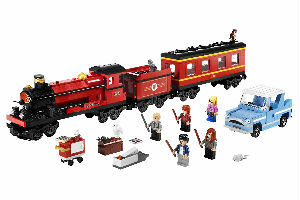 Get ready to board the Hogwarts Express from King's Cross Station with this 801-piece Lego set. It features a railway bridge for the train to pull in under, steps leading to the famous Platform 9 3/4, luggage, a "Wanted" poster, moving brick entrance and Daily Prophet newspapers. Once onboard, order a chocolate frog from the Trolley Witch or recreate the spooky scene of the Dementor on the train. Includes five minifigures, a Scabbers and Dementor figure. 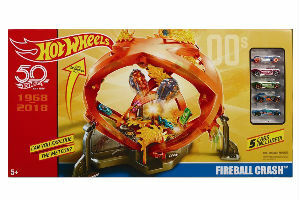 Take it oldschool with this throwback set from Hot Wheels that celebrates their 50th anniversary. Originally produced in 2001, little racers can put their cars in three entrance points throughout nine different crash zones. Cars will zoom down the spherical track, which spans 21-feet. But watch out for the meteor! When it gets hit, it blasts open. Includes five vehicles. What's inside this "designer" bag? It's full of poop-themed DIY slime, of course. 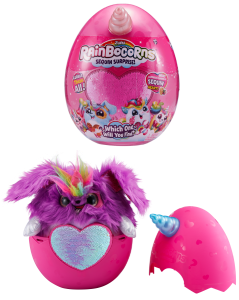 With all the sparkle you need to customize your own unicorn poop, this purse is packing over 35 slime surprises like scented and rainbow fun. When you're done with your slime for the day, store it in the air-tight storage containers. Includes everything you need to make slime including sparkles, crunch packets, mystery scents, a keychain and an instructional booklet. You might be familiar with little Fingerlings, but these long-armed, plush buddies are large and ready to hug it out. They love giving reactions, so swing them around, tickle them, rock them to sleep, give them a kiss or a giant squeeze. They're respond with laughter, snores, monkey sounds, burps and even toots. Who doesn't love a trip to the mall? This fancy department store does not disappoint with two levels of luxurious shops including a cosmetic bar, chocolate store and a fashion boutique with gowns, purses and accessories. There's even a couch to sit on if you need a break. Features a working manual elevator and revolving door. 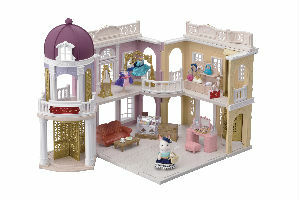 Calico Critters sold separately. 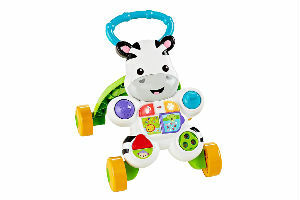 Encouraging both first words and first steps, this sturdy, four-wheeled zebra will keep your little one busy with an interactive book that has pages to turn and buttons that light up. ABC's and 123's are fun to learn with his songs and phrases. 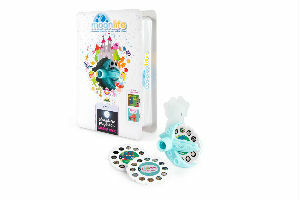 When it's time to walk, he's ready to roll with an easy-grasp handle and music that will get kids grooving. Moonlite is an fun-to-use device that turns your smartphone into a projector. Easily clipping on, it uses your phone's flashlight to project storybook images onto any surface, like the wall or ceiling. The free app features all the story's words so you can read along. Starter pack comes with projector, Goodnight Moon and Sago Mini on Vacation. The best part? No batteries required. Game on the go with this lightweight, powerful 2DS XL. It's compatible with Nintendo 3DS and most Nintendo DS games. 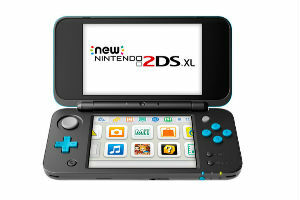 Featuring a screen that's 82 percent larger and more controls than previous 2DS models, this system has a fast processor for smooth-moving graphics. With hours of fun to be had, it's a good thing the fold-up clamshell design is comfortable for small hands. AC adaptor included. It's never too early to teach STEM. Your budding scientist will love this lab which features 20 hands-on experiments that use common household ingredients. Make slime, vampire blood and bubbles using the illustrated instructions. It even includes trial and error solutions if something goes awry. 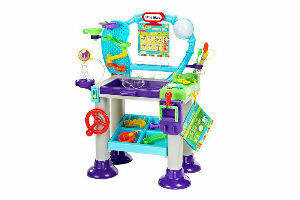 Features a light-up circuit board, plays 40-plus sounds and includes 20 lab accessories like test tubes, stirring spoons, goggles and an eyedropper. 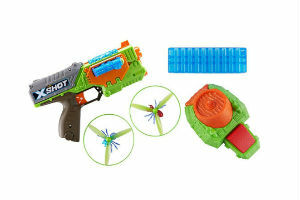 Flying targets are no match for you with this motorized launcher that can shoot 10 darts quick as can be. Step on a pedal to release a disc as the included flying bug soars into view. Those pests are no match for you.